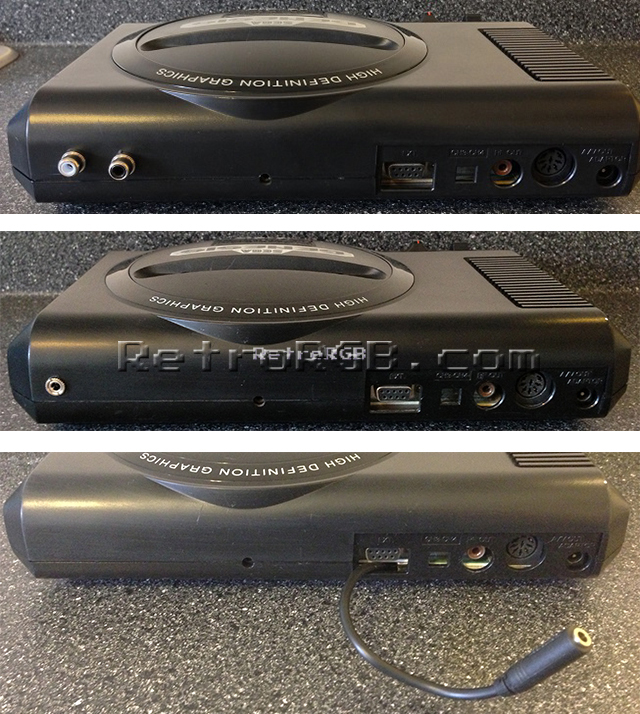 This guide shows you how to add a stereo output jack to the back of your HDG, Model 1 Genesis (please see this page for more info on this version Genesis). The model 1 Genesis already outputs stereo audio through it’s front headphone jack, but I’ve found that pulling the signal directly from the audio chip produces better results. This guide describes an easy way to do that, as well as three different audio connector options, depending on your needs. – Headphone Extension Cable / female phono jack / female headpone jack (pick one). 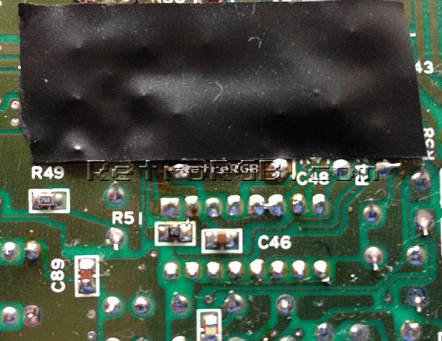 Flip the genesis motherboard over and find the bottom part of that chip. Notice the location of the “473” and make sure yours lines up the same way (the actual number 473 may be upside down on your Genesis…I mean it’s physical location on the board). PLEASE NOTE!!! : My views on this mod have changed since I wrote it. I strongly recommend that you do not cut any plastic on your consoles. 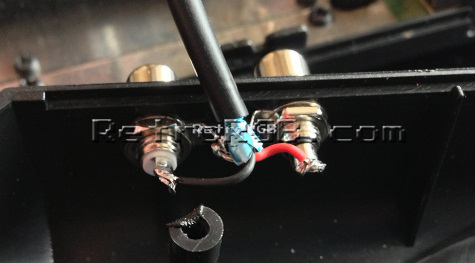 If you have the right tools, removing the RF adapter and utilizing the factory holes are the best method. If not, using the “extension cable” method would be an overall better choice. If you chose the RCA audio or heaphone jack method, you must now drill holes in the back of the top cover. Make sure to mount them in the same place I did, as close to the edge of the top cover as possible, otherwise you won’t be able to use the power base converter! Mine are off-centered (cause I’m not a very good craftsman), but you’ll want to mount yours as low as you can, to make sure it clears the Power Base Converter! After they’re mounted, simply run the wires and solder them in. You can combine the ground wires if you need to. That’s it! Now you can enjoy stereo audio-out from your Genesis!